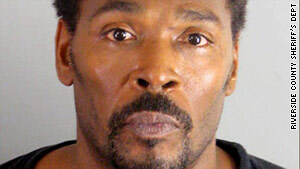 Rodney King was arrested on suspicion of driving under the influence on Tuesday. Los Angeles (CNN) -- Rodney King, whose videotaped beating by police led to the 1992 Los Angeles riots, says he was under the influence of a "medical marijuana prescription" when police booked him this week on suspicion of driving while impaired. "I had marijuana in me that I take to deal with migraine headaches and pain in my lower extremities, although I should not have been driving," he told CNN Thursday. King was behind the wheel of a 1994 Mitsubishi when he was pulled over Tuesday in Moreno Valley, about 60 miles southeast of Los Angeles, police said. According to the police report, a Moreno Valley traffic enforcement unit observed King commit "several traffic violations," said Riverside Sheriff spokeswoman Courtney Donowho, although he was not cited for speeding. After questioning King, the patrol officer noticed King exhibiting "signs of behavior that might involve alcohol or drug consumption," said Donowho. King was asked to step out of the car and submit to a voluntary field sobriety test, said spokeswoman Donowho, adding that King was cooperative and compliant. "A preliminary evaluation of the driver indicated he was possibly driving while impaired." King was arrested and transported to the Moreno Valley Police Department for an evidentiary test. King told CNN he was not under the influence of alcohol and voluntarily agreed to submit a blood or urine sample which can detect alcohol consumption. "They wanted me to take a breathalyzer test but the machine was not working so I offered to take a blood test," he said. Authorities said the results of the evidentiary test were not completed. After a few hours, King was released and issued a citation agreeing to appear for a court hearing within 45 days, said Donowho. King said he was on his way to visit a friend who recently purchased home in the Moreno Valley. King's 1991 beating by Los Angeles police officers after a traffic stop left him with skull fractures and brain and kidney damage. It was captured on video by a nearby resident, and four officers were indicted as a result. But their trial the following year led to three acquittals and a mistrial in the predominantly white suburb of Simi Valley, verdicts that set off three days of riots in African-American neighborhoods. By the time it was over, 55 people were dead, more than 2,000 were hurt, and property damage exceeded $1 billion. Two of the officers were later convicted of federal civil rights charges, and King won $3.8 million in damages from the city in a civil suit. King was on parole for robbery at the time of the beating and has had several run-ins with the law in the ensuing years. He served a 90-day jail term in 1996 for a hit-and-run involving his wife at the time, and pleaded guilty in 2004 to reckless driving and driving under the influence of a controlled substance. In March, he was cited for driving without a license after being pulled over in Arcadia, California. Earlier this year, in a CNN documentary, King spoke to CNN's Don Lemon about his struggle with alcohol abuse. I'll always have an issue when it comes to alcohol. My dad was an alcoholic, the addiction part is in my blood," said King. "What I've learned to do is to arrest my -- addiction, arrest it myself, so I don't get arrested." Sheriff's officials are expected to submit the case to the Riverside County District Attorney's office which will decide whether to prosecute King.